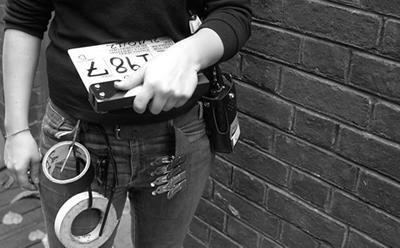 Women remain dramatically unrepresented in the British film industry, according to a major new study which shows there has been little change in the number of female directors or cinematographers in the past decade. Across 3,452 films in production in the UK between 2003 and 2015, only 14 per cent of all directors and seven per cent of all cinematographers were women, the research shows. The figures were produced for the Arts and Humanities Research Council-funded research project ‘Calling the Shots: Women and Contemporary Film Culture in the UK’, led by Dr Shelley Cobb of University of Southampton with the co-investigator Professor Linda Ruth Williams of University of Exeter. The latest report shows the number of female directors increased by just three percentage points from 11 per cent to 14 per cent between 2003 and 2015. The number of female cinematographers increased by five percentage points from two per cent to seven per cent. The research, which used information collected by the British Film Institute (BFI), shows that even when women are employed in key roles in the film industry they are more likely to be working alongside a second director or cinematographer who is a man. Of the 476 films identified which had a female director, 14 per cent also had one male director, whereas only two per cent of films with a male director also had a female director. Of the 237 films with female cinematographers, 55 had at least one man additionally working in this role. Only two per cent of the films with a male cinematographer had a woman also in this role. A large proportion of films with female cinematographers also had at least one woman director. Dr Shelley Cobb, from the University of Southampton and Principal Investigator of the study, said: “This data shows very clearly that there is no long-term improvement of gender equality in the British film industry, despite training schemes, funding rules, or best practice statements. It also shows white men are least likely to work with black, Asian, and minority ethnic (BAME) women who most often work with each other and BAME men. BFI statistics show that around 55,000 people work in film production in the UK, and in 2015 there were around 200 male directors. This year, the Academy of Motion Picture Arts and Sciences in the USA has nominated only its fifth woman for best director – Greta Gerwig for her film Lady Bird - and the first ever women for best cinematography – Rachel Morrison for Mudbound. However BAFTA voters nominated only men in both categories this year. The report, shows just 10 per cent of directors and four per cent of cinematographers were of black, Asian, and minority ethnic (BAME) identity, making only one per cent of all directors and only 0.3 per cent of all cinematographers female BAME. Dr Natalie Wreyford, from the University of Southampton and Co-Principal Investigator, said: “I first raised the issue of gender inequality on British films in 2006 while I worked at the UK Film Council. Ever since then I’ve had people say to me that things are getting better. Every year we see that they aren't. Jon Wardle, Director of the National Film and Television School (NFTS), said: “The NFTS are very proud of our track record training world-class cinematographers – from Sue Gibson, the first female member of the British Society of Cinematographers (BSC), and then its president, through to more recent graduates such as Charlotte Bruus Christenson (Molly’s Game) and Chloe Thompson (Requiem). 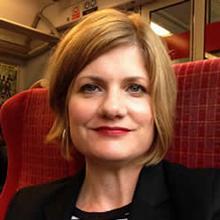 Dr Shelley Cobb is an Associate Professor of Film at the University of Southampton.